If you are an LG G2 or LG G3 owner on T-Mobile, you are now closer to getting the Android 5.0 update. T-Mobile's Software update page has been updated (natch!) and changes made to the status of the LG G2 and LG G3. Both handsets had been listed as being in 'Manufacturer Development'. Now, the pair show up on the page as being in the process of 'T-Mobile testing'. That means that the carrier is testing the software to make sure it works perfectly on the mobile operator's zippy pipeline. This should be the last step before the current LG flagship and its predecessor receive the Android 5.0 update OTA. It will bring Material Design, Lock Screen notifications, the 64-bit ART compiler that speeds up the process of opening an app, improved battery life with Project Volta, the new Recent Apps menu, Quick Settings access from any page, and more. Sprint and AT&T have already updated their respective LG G3 versions, and the LG G2 has always been expected to receive Android 5.0 after the LG G3. T-Mobile users with either phone should remain patient as it appears the entire process is winding down. LG user be like " Yeeeeee Lollipop " 2 hours later " Ah damn LG when are we gonna get Lollipop 5.1 , Look at other manufacturers *beep* *beep* *beep*"
Because Samsung, Sony and others do better more ? Samsung yes. Sony no, although they're rolling out 5.0 to the Z3 and Z2 within a few days span of each other. Jeez Verizon released 5.0 for the g3 weeks ago. Why is T-Mobile lagging so hard? VZW already has 5.x on 5 devices. Actually, it has been proven that it was just a freak accident that 2 people got an LG G3 with the Lollipop update on it. Me either I'm so mad! And I've got a Moto X Pure edition about to get 5.1. I love stock Android! The Note 4 hasn't sold half of the G3, and not even 20% of the G2 that's why. It's also the lowest selling Note version since the first one. That's just wrong. In the first month the Note 4 sold 4.5 million units while it took the G3 10 months to sell 6 million units. I'm positive now that time has gone by the Note 4 has already outsold the G3. The Note 4 is the current "Phablet" flagship from Samsung and one of the best spec'd devices you can buy. With easily the best display on a phone. There's no reason why there should be a hold up this long on T-Mobile. I agree. 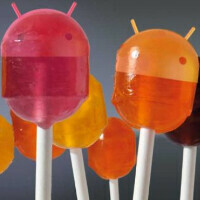 come on lollipop!!! I have the galaxy note 10.1 and the 10.1 2014 edition and neither have ever received any updates. Sorry to say this but I don't think Samsung have any intention of updating any of the more series. That's the reason I will never buy a Samsung tablet again.